The sea has ever been alluring for its mystery, its romance and its heroism. It is always a wilderness changing, challenging and inspiring. It may at any time demand the utmost skill and daring and always demands the utmost care and watchfulness. It ever lies in wait to overcome the timid or overwhelm the unprepared and unwary. The expanse of water, the drive of winds, the drift of tide have tempted the adventurous from the beginning of the world. Stories of the sea are appealing to our admiration and our love of adventure. We thrill over the exploits of those who solve the mystery of unknown regions; we applaud the endurance of those who brave the dangers of storm and wreck; we suffer with those who freeze in ice bound waters or blister in tropic seas; we glory in the heroism of those who defend the flag upon the high seas and upon their enemies. 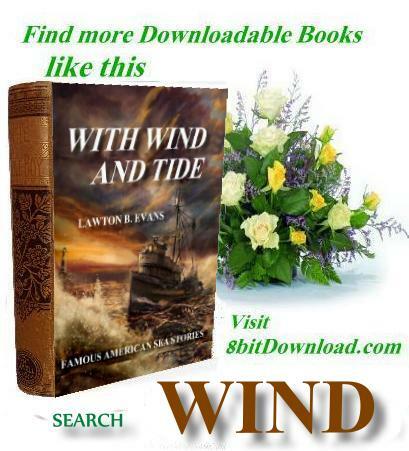 The author hopes these stories taken from the history of our country will bring an understanding of why our flag is respected and honored in all ports and on all waters.